BERLIN -- Deutsche Telekom, Europe's largest phone carrier, is offering owners of cars built in 2006 or later a service that will monitor driving data and turn the vehicle into a Wi-Fi hotspot, as the company taps into demand for on-trip surfing and connected devices. The company is selling customers in Germany a CarConnect adapter that plugs into the diagnostics connector fitted in almost all modern cars. While it's offering the wireless device at 1 euro, the real cash for the company is in the contracts needed to run the service -- about 10 euros ($12) a month for 10 gigabytes of data. "We're not only offering owners of older cars the chance to make their vehicle smart, but also turn the car into a rolling Wi-Fi hotspot," Michael Hagsphil, who heads Deutsche Telekom's private consumer business in Germany, said in a statement. 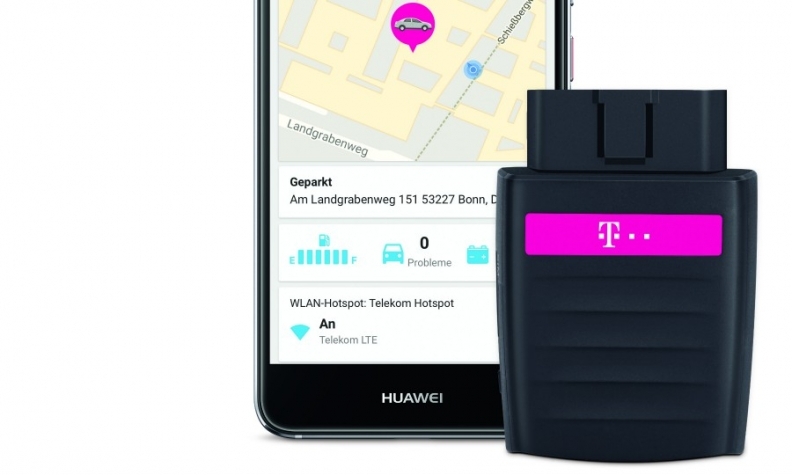 Deutsche Telekom's foray into vehicles is its latest attempt to enter the connected devices market that's increasingly attractive to consumers. On Monday, the carrier unveiled its own voice-controlled smart home speaker, compatible with Amazon's Alexa service, that will go on sale next year. Sweden's Telia AB offers a similar vehicle service where owners can monitor location, diagnostics and engine error codes as well as get alerted if the car is broken into. Spending on smart home hardware, services and installation fees will reach $155 billion globally by 2022, up from almost $90 billion this year, with devices accounting for about half of that, according to consultant Strategy Analytics.